Saturday morning the world welcomed the new Royal baby, Princess of Cambridge. The baby’s name has yet to be revealed to the public. Although this is quite different than what we have been talking about in lecture, the royal family is something that I love to learn about and get engulfed in their lives. As I learned about the baby’s birth, I thought what the line of succession would be, and how she fits into the tree. The picture posted below shows where she is in the line to the throne. This was also interesting to me because it’s crazy to think that this little baby girl is related to all the historical figures in Britain’s royal heritage and she doesn’t even know it. For example, her great-grandmother is one of the world’s oldest reigning monarchs who has gotten her country through many economic and political downturns. 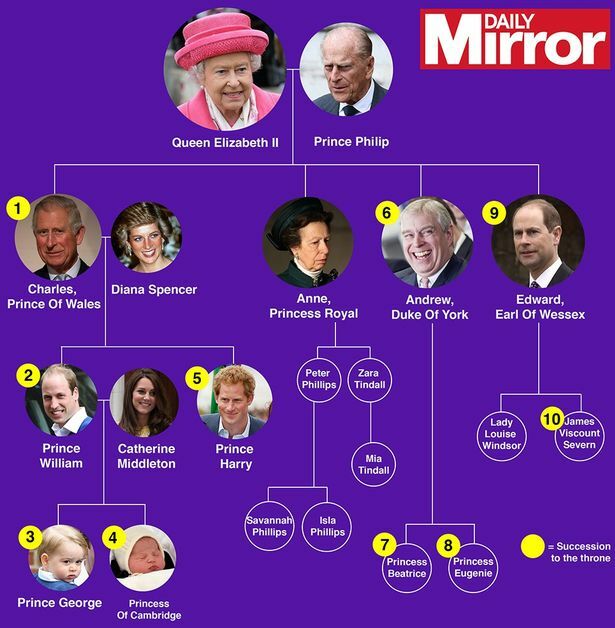 I found that the royal baby’s birth had more history than just being born, she was born into a long reign of royalty that has been in place practically since Britain’s existence.